Hey, remember when I wrote about the Eugene Mirman Comedy Festival Fundraiser that’s happening tomorrow night at The Bell House? Well, it turns out that one of the “Special Guests” has been revealed and it is non-other than New Pornographer front-man (and fellow ex-pat Canuck) AC “Carl” Newman. 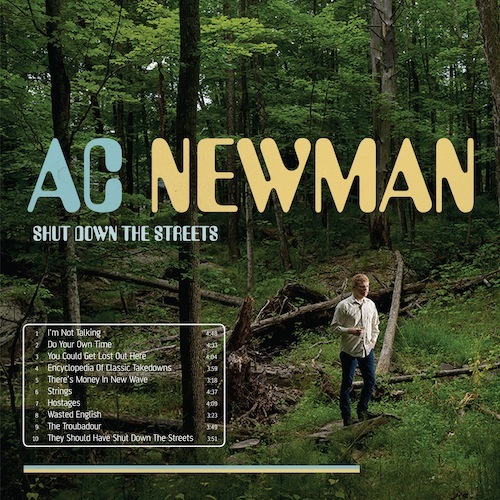 As some of you may know, Carl has put out a few solo records under the AC Newman moniker and he’s about to release another one entitled Shut Down the Streets which is due out on Oct 9 via Matador Records. Carl is hitting the road in the fall in support of SDTS and will play the Bowery Ballroom on Oct 22 (Buy Tickets) and Maxwell’s on Oct 24 (Buy Tickets). If you’d like to see Mr. Newman preview some tracks off his new record a little sooner than that, you can come out to The Bell House on Friday night (Aug 24) and support the cause (Buy Tickets). More AC Newman tour dates after the jump.